Recently, I saw an amazing exhibit at the Jewish Museum in New York City. “Crossing Borders: Manuscripts from the Bodleian Libraries,” shows rare Hebrew, Latin, and Arabic manuscripts from the University of Oxford’s Bodleian Libraries. Among the scores of texts on display were the Kennicott Bible (a magnificently illuminated Hebrew bible) and a book handwritten by the great philosopher and theologian Moses Maimonides. Obviously, these texts were too old and valuable to handle, but luckily the curators at the Jewish Museum had a clever technological solution. 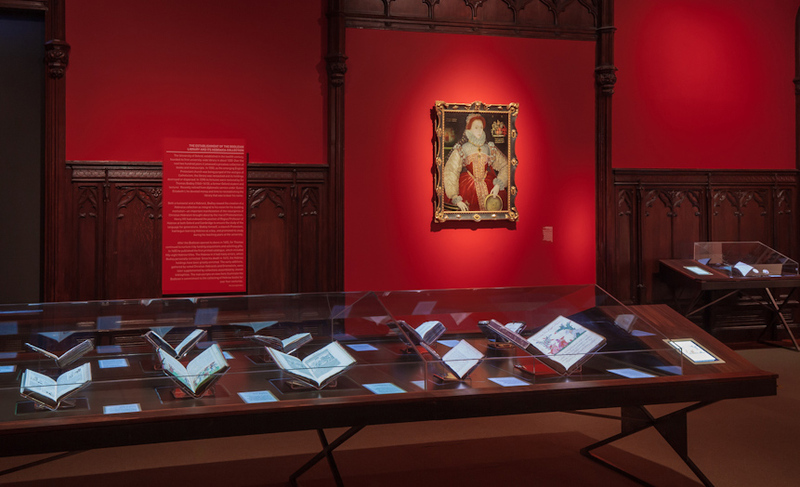 Beside each book was an iPad, so visitors could look at every page virtually. It was very cool, and made for a very odd juxtaposition. It’s harder to get closer to a long dead philosopher than to see a book written in their own unique hand. On the other hand, it’s harder to get farther away from an original text than reading it on a tablet, where code creates the illusion of paper and ink. Of course, this is all out of necessity: seeing an image of Maimonides’ book is better than not seeing it at all, and few people would even know of Maimonides if his books had never been mass-printed. Still, it begs a question: What artifacts will the great writers and thinkers of today leave behind? Will the efficiency of typed notes and digital publishing erase the writer’s mark, denying future generations a reminder that great books are a product of human beings? Digital tools make creating and reading written works much easier than ever, but that doesn’t mean all of the changes it brings will be positive. The printing press made the books on display obsolete, not the Internet, but there’s still a reason why they attract so much attention today.